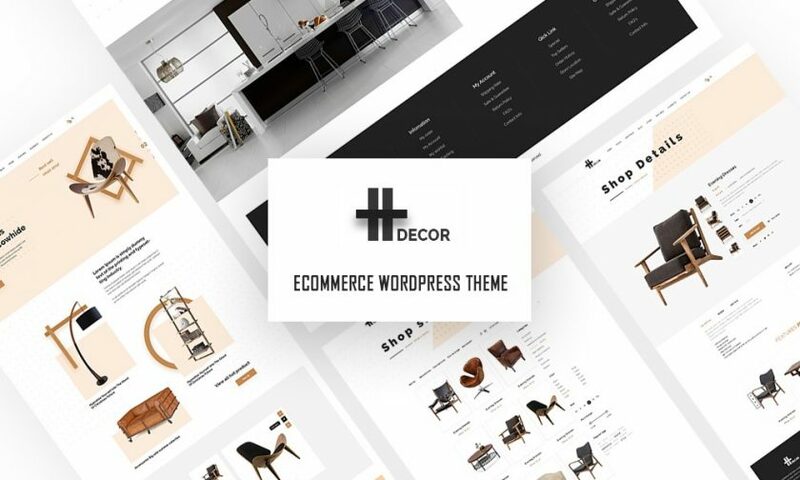 H Decor – Furniture eCommerce Wp Theme is an awesome design idea for your online Furniture store. It suits for any kind of furniture shop, decor store, interior stores, tools shop, etc. It has purpose oriented design, responsive layout, well-structured layer groups and various sample page layouts such as stunning home pages, About Us, Contact us, Service, Product Pages, Blog and others. 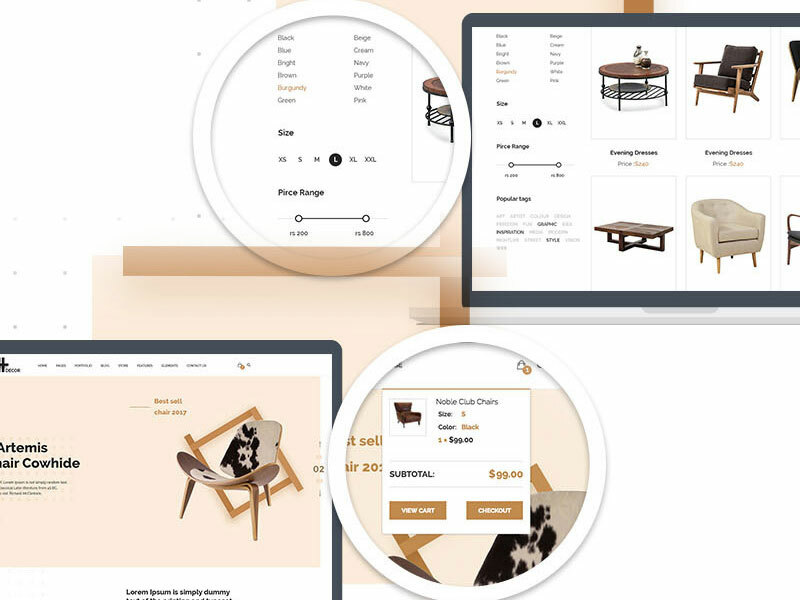 This theme is perfect for your furniture and accessories eCommerce, but it’s clean design is so versatile that allow to use it for any type of online store. It come with many premium plugins for free, in this way you can save even more the price of the theme. Using warm tone with a minimalist design, we want your customers to feel like home when they come to your website. In addition, with Slider Revolution plugin the customers can have a better view at your products. 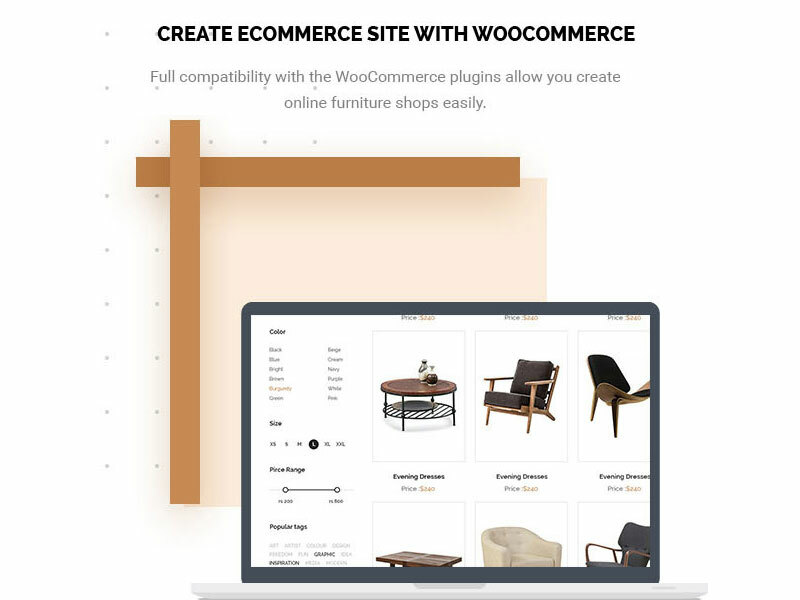 Strongly focused on customers’ shopping experience, H Decor is fully integrated with WooCommerce plugins – the largest eCommerce platform, which allows you to easily set up shop and sell products online. 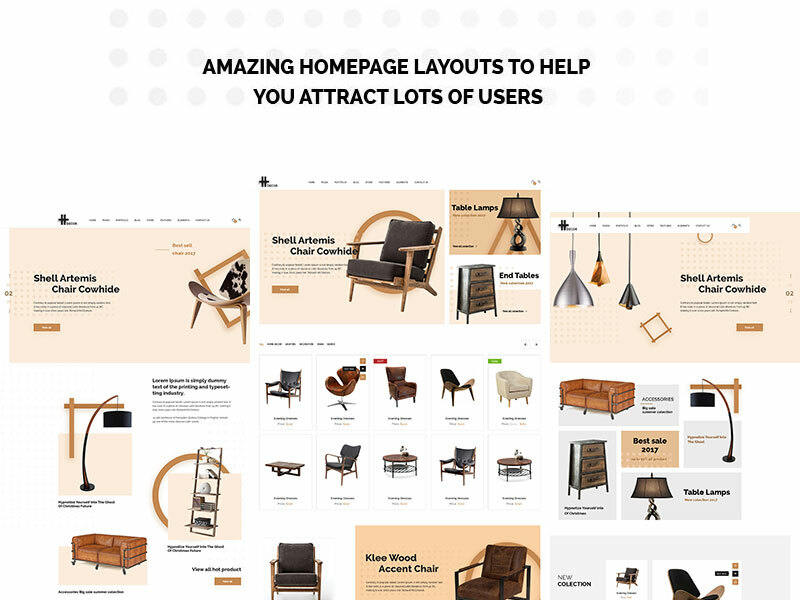 This theme is included 03+ product listing pages with different layouts. It is also accompanied with WooCommerce Variation Colors and Swatches – the most wonderful tool to convert your normal variable attribute dropdown select to nice looking color or image. You can display images or color in all common size. To make it more convenient for customers, H Decor also comes with the extremely useful features of WooCommerce: Product quick view and Ajax shopping cart/wishlist. This means you can view the product, add them to your cart or wishlist without having to go to the product page, which saves you plenty of times. Time and convenience are valuable. A slow website also like a broken furniture, nobody wants to use it. That’s why we mark our words to make the theme become more and more convenient to all users. 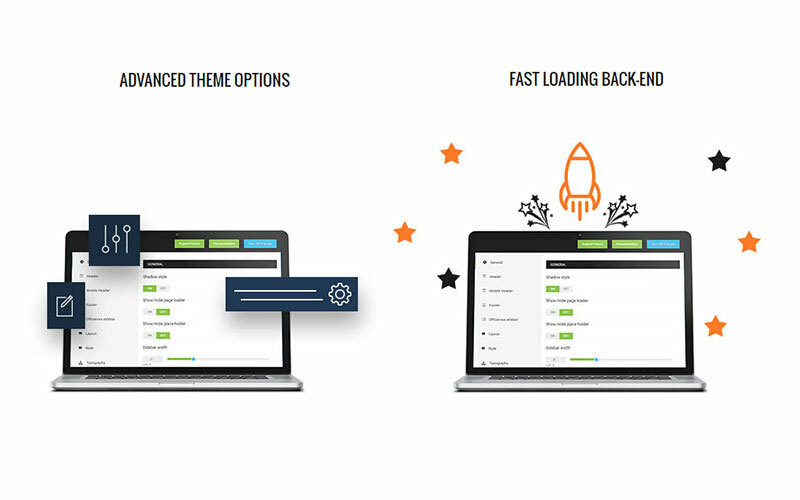 With a new revolution in upgrading our framework for the theme, H Decorpurchasers will experience a much faster back-end practices. 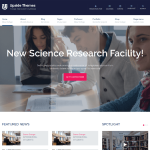 Not to mention, it is lively and supercharged with new Advanced Theme Options with lots of theme customizations helping all users manage the whole theme with ease. 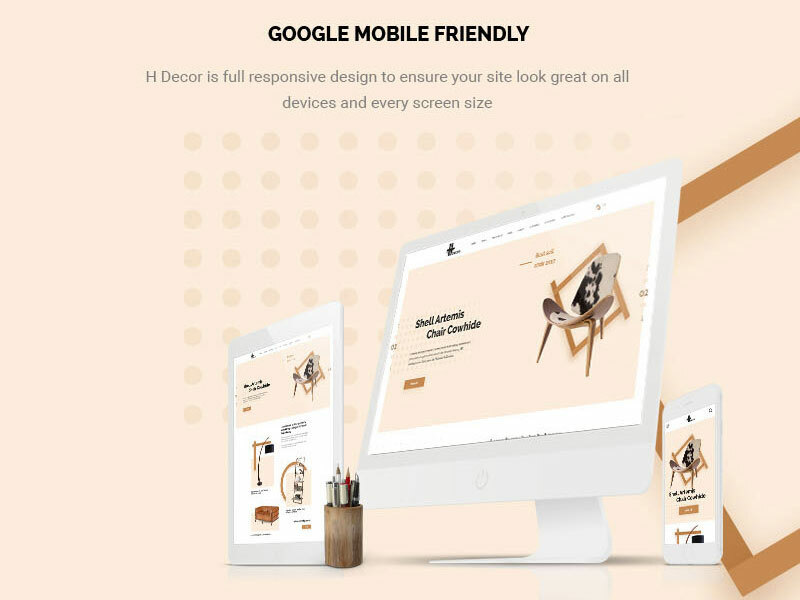 H Decor comes with a stunning responsive design which makes your web page look good on all devices (desktops, tablets, and phones). We guarantee it will satisfy even the most demanding customers with the great UX/UI experience. 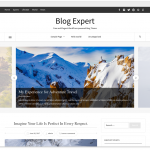 Furthermore, purchasing this theme means you can save up to $53 on Premium Plugins, plus great service from our devoted and experienced Support Team if you have any problems using our theme. Check out H Decor Demo for more details!